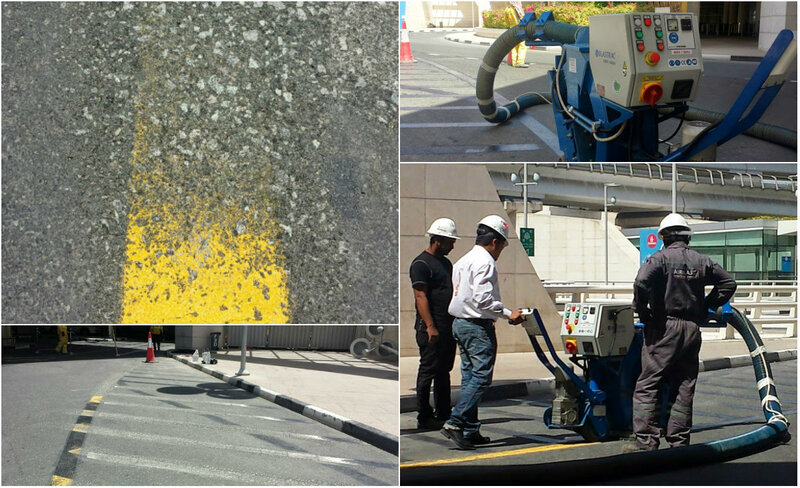 On the 20thof April 2014, Blastrac machinery was used at Dubai International Airport. Dubai International Airport is one of the biggest airports in the United Arab Emirates and is one of the major airline hubs in the world. 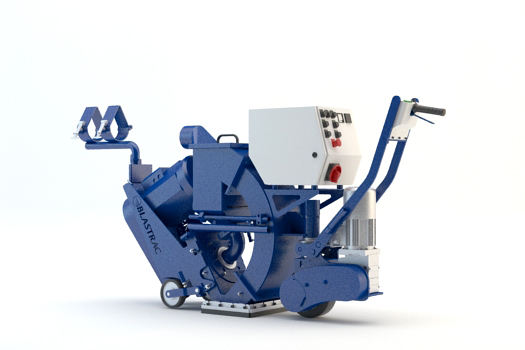 The Blastrac 1-10DS shot blasting machine was used for thermoplasticline removal at the airport. The project was very successful! The thermoplasticmaterial was easily removed and therefore the job was done in no time! The reason why the Blastrac 1-10DS shot blasting machine was used for the job is not a surprise. It is a heavy duty machine that is very manoeuvrable, therefore it is ideal for applications such as airport maintenance and asphalt cleaning. We look forward to working together with Dubai International Airport in the future. Here are some pictures of this successful project!